Apparently the part of the EIA in charge of collecting and disseminating natural gas storage data, like the Congressional gymnasium, is considered an essential government service and is not shut down with the rest of government during all this insanity (we don't want our elected officials to miss their CrossFit training). 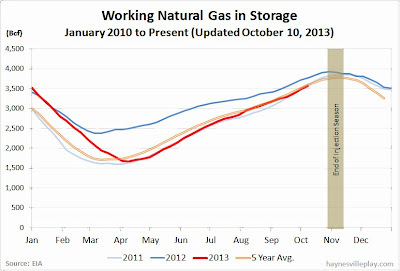 As a result, I can report that working gas in storage is up 90 Bcf this week to 3.577 Tcf. The weekly injection was 23% higher than last year (+73 Bcf) and 7% above the five year average (+84 Bcf). 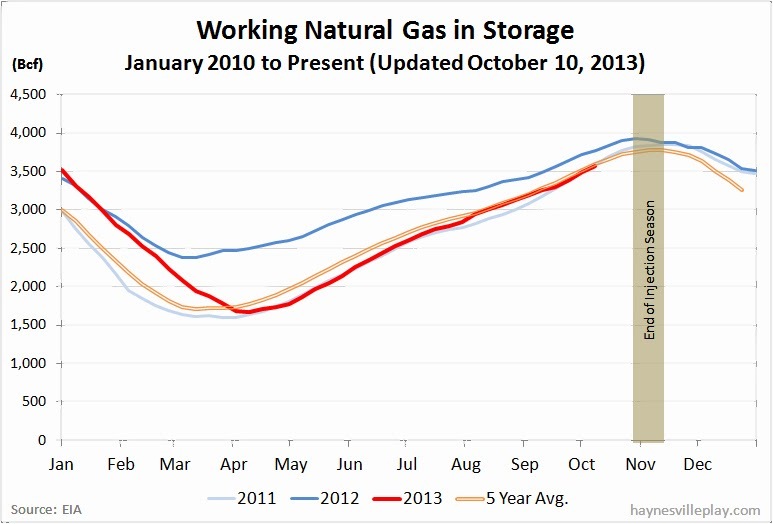 The current storage level is now 3.7% below last year (3.715 Tcf) but 1.6% above the five year average (3.522 Tcf). Temperatures last week averaged 65.6 degrees, which was 0.9 degrees warmer than last year and 3.1 degrees warmer than average.